ISRO launches GSAT-11 just six days after successful launch of HysIS mission. 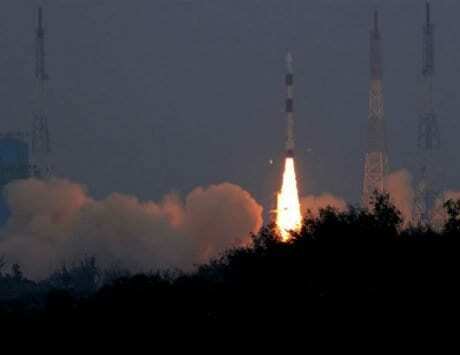 Indian Space Research Organization (ISRO) has successfully launched its heaviest satellite yet. 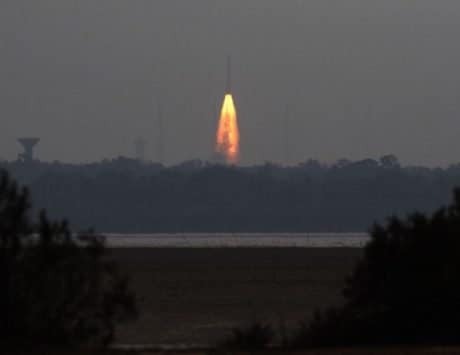 After months of wait, the heaviest satellite from ISRO named GSAT-11 weighing 5,854Kg was successfully launched from the European spaceport in French Guiana on Wednesday. The GSAT-11 was successfully lifted onboard an Arianespace’s Ariane-5 rocket along with a geo satellite from South Korea named Geo-Kompsat-2A. 29 minutes after the lift-off, the GSAT-11 separated the Ariane-5 rocket, and was successfully placed in the geo-transfer orbit. The Korean satellite was released four minutes later, and in order to avoid collision between the two satellites, Arianespace kept a time gap of four minutes between their separation in space. The deployment of GSAT-11 in the geo-transfer orbit is a sign of India’s continuous progress in the space race. The GSAT-11 is a high-throughput satellite that carries 40 transponders in the Ku-band and Ka-band frequencies. ISRO‘s heaviest satellite yet is a big deal because it is capable of bringing high bandwidth connectivity to the country. The satellite will enable up to 14 gigabit per second (GBPS) data transfer speed and is designed to have a lifetime of over 15 years. 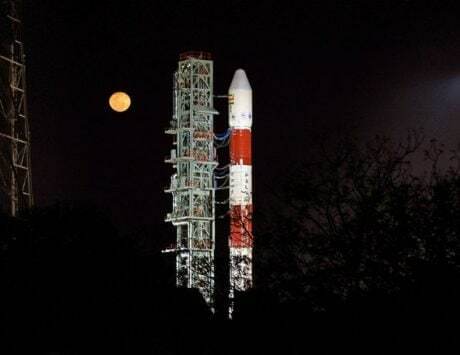 Today’s launch is also significant because it comes right on the heels of the launch of HysIS, India’s first hyperpectral imaging satellite that was launched just six days back. 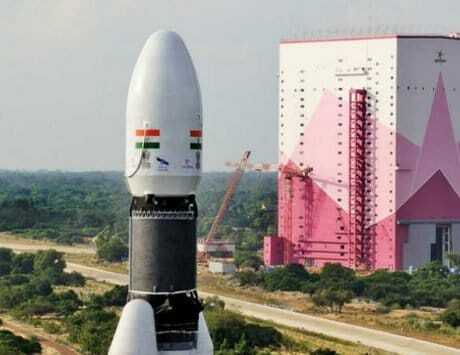 “Today’s launch of the country’s heaviest satellite Gsat-11 is a major milestone for the country. 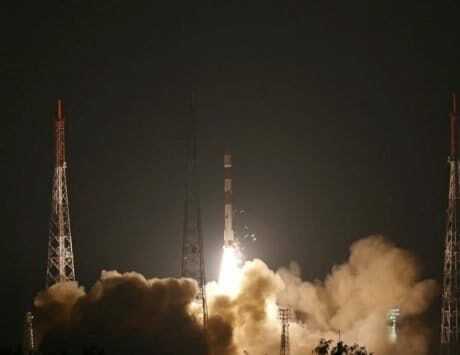 This satellite has been designed in most innovative ways by Isro centres and and the credit for its success goes to Team Isro,” K Sivan, Chairman of ISRO, said after the launch. He also confirmed that the control of GSAT-11 has been taken over by the master control centre of ISRO at Hassan in Karnataka. The satellite will be maneuvered to its final geo-stationary orbit in the coming days and its payloads will be tested thereafter for the next 10 days. According to a report by ToI, the GSAT-11 is meant to provide multi-spot beam coverage over India’s mainland and nearby islands. The satellite uses multiple spot beams to increase internet speed and connectivity. In order to cover the entire country, the specially designed transponders will reuse beams (or signals) several times and it will also help ISRO to demonstrate new-generation applications.